Bryce Lowery feels like the answer to all of Dakota’s prayers. 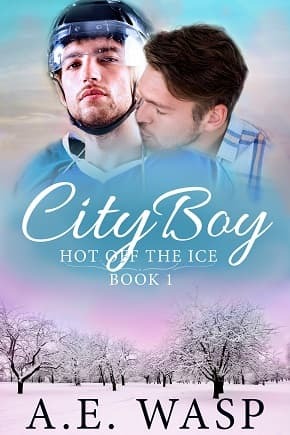 But is Dakota willing to leave the only life he’s ever known only to be thrust into the spotlight as the boyfriend of the first out gay hockey player? Would their relationship even survive it? He’ll lose Bryce if he doesn’t because Bryce will leave eventually. No one would turn down millions of dollars for a nobody with nothing. Sometimes the toughest thing to believe in is yourself. Two years later, they’re teammates and Paul is so deep in the closet he’ll need a roadmap to find his way out again. Robbie might be his compass. But to be with Robbie, Paul will have to turn his back on his family and everything he’s ever believed in. It’s going to take a lot of faith to find their way together in this shiny new world. In a world that measures success in dollars, how do you put a price on happiness? Love, marriage, and a baby carriage. It’s all Alex Staunton has ever wanted. Well, that and an Olympic medal for figure skating. The medal he got. 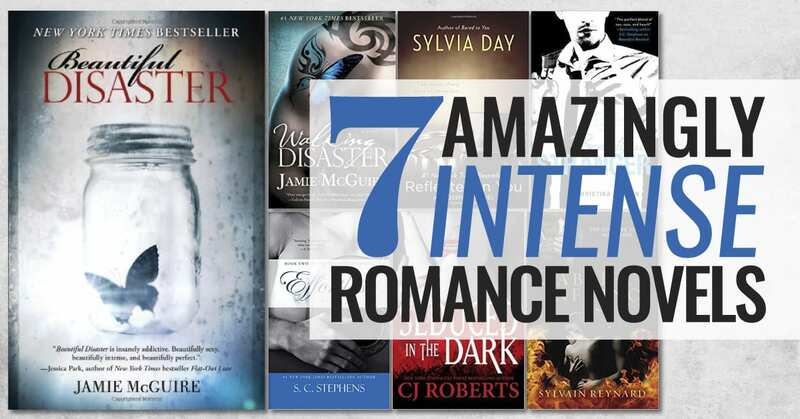 The rest of it – not so much. 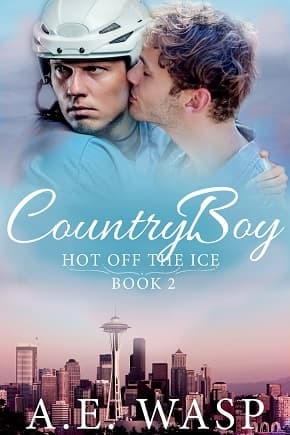 When his most recent poor decision comes to a door-slamming end, Alex moves into the house of his best friend, Thunder starting goalie, Sergei Pergov. But when tragedy strikes, giving Sergei custody of the twins he fathered confidentially, Alex’s problems take a backseat to the needs of two infants, and Alex vows to be the best fake-dad and house-husband he can be. Sergei is dazzled by the way Alex makes managing all the craziness look as easy as doing a triple-axel. As their friendship grows even deeper, Sergei realizes he doesn’t want to imagine a life without Alex in it. Alex is the one who makes their house a home; his love makes them a family. How can Sergei make Alex understand he’s worth everything? 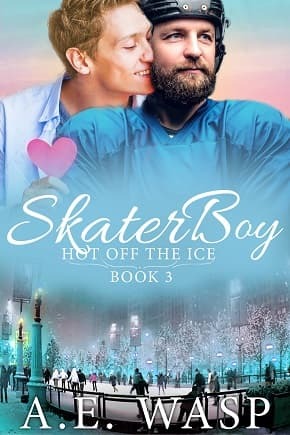 Skater Boy is a story about falling in love with your best friend. It contains discussions about baby poop, day drinking, girls’ night out, and the purchase of a mini-van. 10 siblings, 7 fish courses, 6 hockey players, 5 cousins, 4 calling birds, 3 spouses, 2 houses & 1 night that changes everything. Whatever. Wrong as it might seem, a one-time hookup with Joey is exactly what he needs to make the yuletide gay. By tomorrow, he’ll be back in Seattle, Joey will be in New York, and his troubles will be miles away. But as Christmas Eve becomes Christmas Day, Joey weaves his way past all Liam’s defenses, and Liam starts to see the sensitive, caring man behind the cocky smirk. About the Author: After time spent raising children, earning several college degrees, and traveling the world with the U.S. State Department, she is returning to her first love – writing.